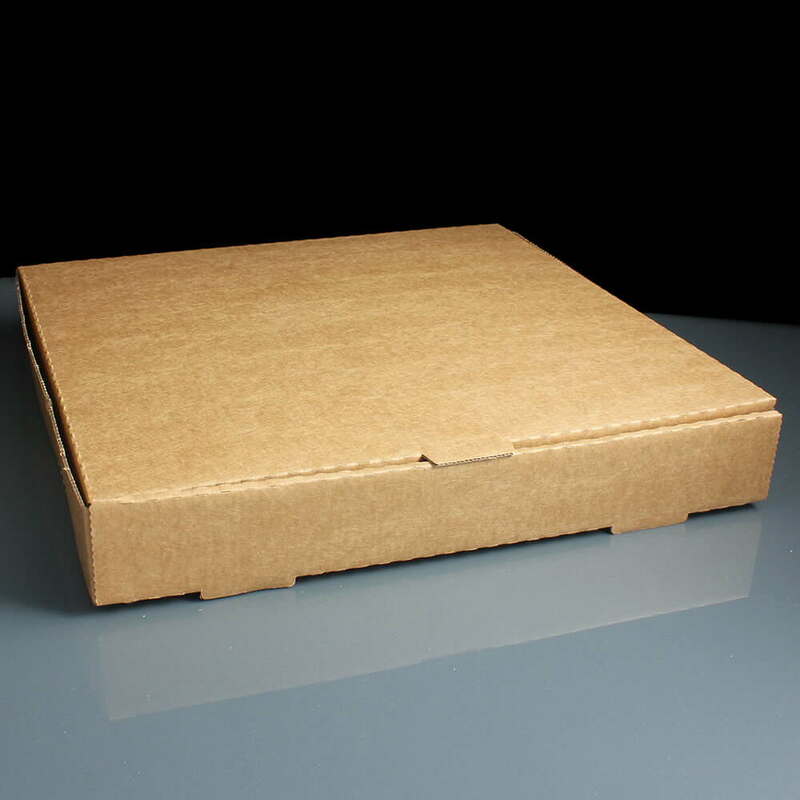 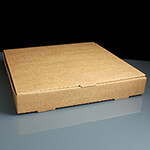 A corrugated plain brown cardboard pizza box with hinged lid, 310 x 310 x 45mm ideal for holding a 12" / 300mm pizza. 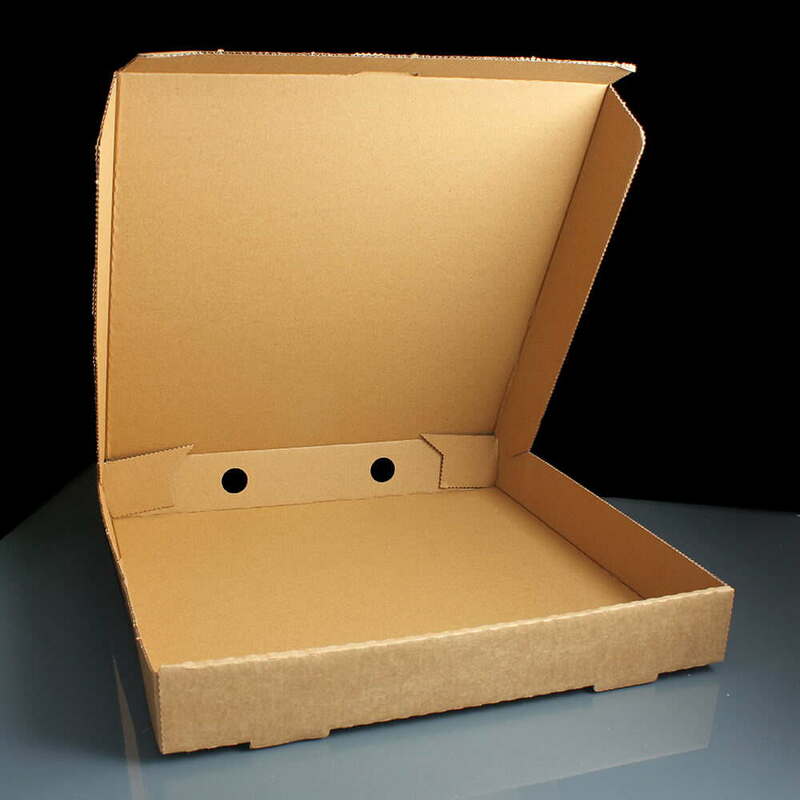 These boxes are sold flat and require folding into shape, ideal for takeaways and fast food restaurants. The corrugated pizza boxes each have two holes on a side to let the steam escape whilst the pizza is enclosed helping to keep the pizza as crisp and fresh as when you finished cooking it. 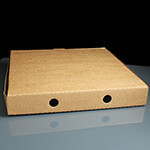 Feedback for 12" Brown Pizza Boxes (100) has been compiled from 0 reviews.